You want to do a million things, but don’t want to get off the couch? And I know how pathetic you feel afterward when the pile of unfinished tasks builds up in front of you. You want more from your life, but when you feel lazy to act, nothing seems to work. Even thinking about your goals or dreams may not motivate you to stop being lazy. You were not born lazy. But you picked up lazy habits on the way. It’s a relief to learn that because now you have a choice to change. And you can overcome laziness by substituting those habits with better habits. 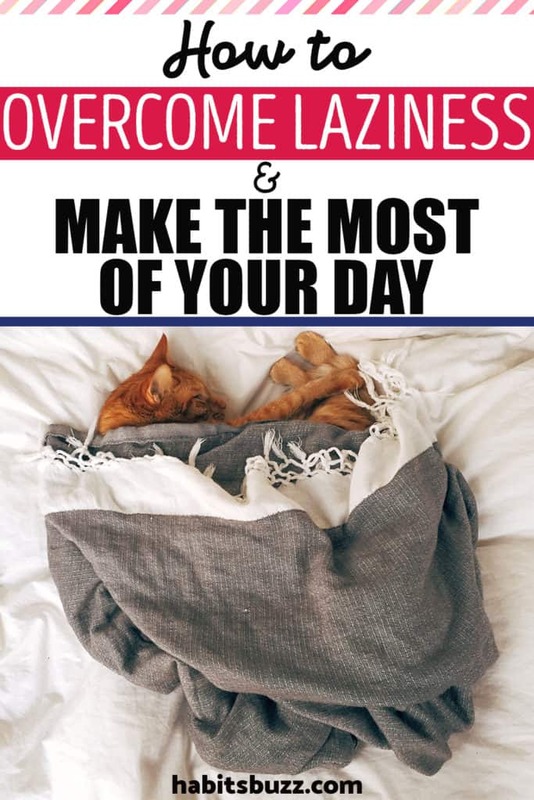 how to overcome laziness? Is it the same as procrastination? Laziness or slothfulness, is choosing to stay idle despite having the ability to act. Laziness is not the same as procrastination. Procrastination is when we postpone our tasks to a later period and choose to do easy and less important tasks, while laziness is simply choosing not to do them even though you perfectly can. Though laziness can make you procrastinate, there are other reasons for procrastination too. 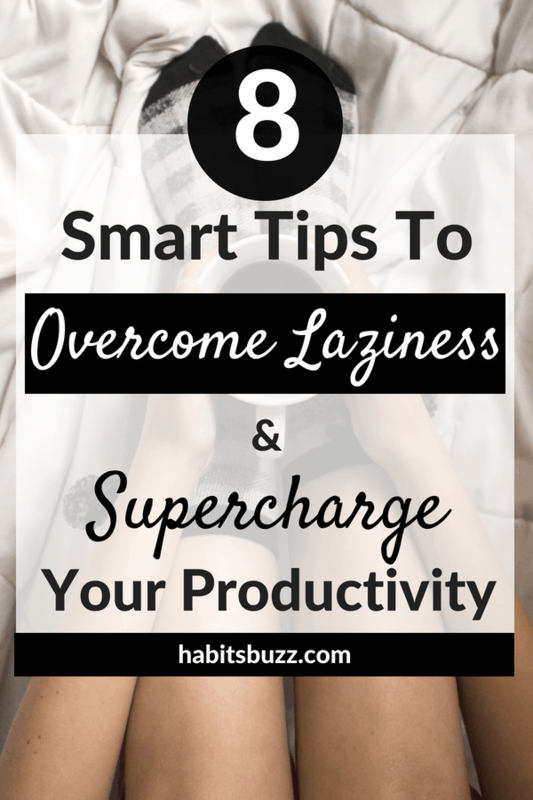 Here are some tips to overcome laziness and maximize your potential. You cannot solve a problem unless you know what causes it. 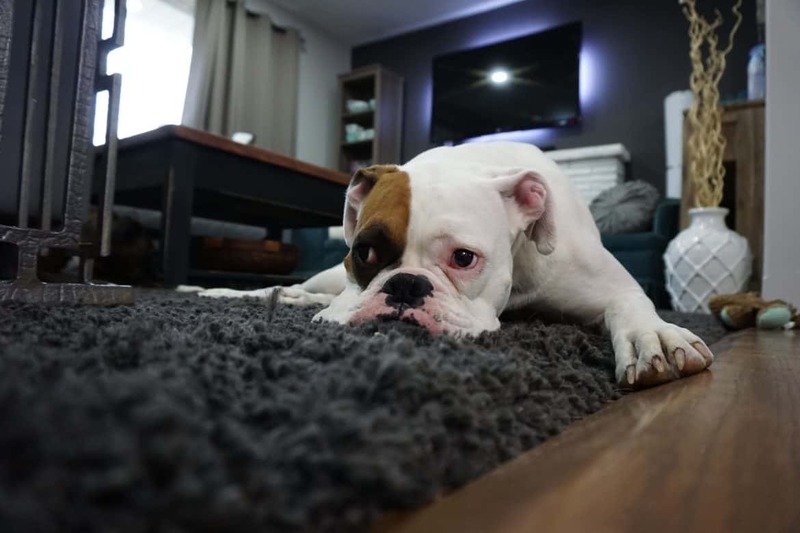 There can be different reasons for feeling lazy. Maybe it’s a boring or tedious task, maybe you have fears holding you back, or you feel lethargic and don’t have the energy to do it. Let’s look at each scenario. Life requires us to do many tasks that are mundane, repetitive and uncreative. Like household chores, studying, data entry work for your job etc. But you can’t possibly live in a house that has been uncleaned for weeks, or you can’t eat healthy homemade food if you don’t cook and always grab a burger on the way back to home. You fail in your exams if you don’t study (and you know the consequences) and the data entry work you don’t want to do helps you stay organized. If you convince yourself and understand your “why”, you can push yourself. For example, I do many unpleasant tasks on a daily basis, at home, and for blogging. I used to be lazy and procrastinate much with the tasks I don’t like. But what I do now is, I schedule all the tasks that should be done in a day (interesting and boring ones) in my bullet journal. And I do the most important ones first thing in the morning (usually writing), and others follow. I do each activity even if I like it or not because I think about the consequences of not doing it and that forces me. I always stress in almost all articles, scheduling by writing by hand is the key to getting things done. And I can never say it enough. 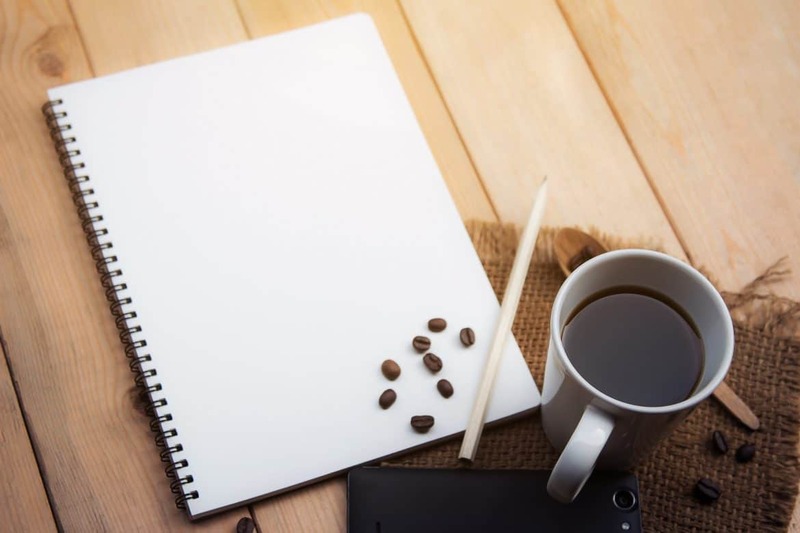 Here’s an article that explains why writing down your goals works. Sometimes you choose not to do a task because you have some inhibitions holding you back. Find out why you have them and find a solution. Here is an article I wrote on how to overcome procrastination caused by fear. You want to take action but you feel tired to move even a muscle. Maybe it’s because you have some underlying health problems. This happens to me often, and I started including more nutritious food in my diet and cut junk. Many people have one or the other common nutrient deficiencies. Include supplements and a variety of fruits and veggies in your diet if you want to up your levels. Make exercise a part of your daily life. Exercise makes your body release chemicals called ‘endorphins’. They boost your mood and give you positive energy. When you are brimming with energy, it’s less likely to feel lazy. Unless you have specific goals, you don’t know what you are working for, and where you are going. Goals give you direction. Decide what you want to achieve in each area of your life. When you don’t know what to do in life and you are just going with the flow taking each day as it comes, it’s difficult to overcome laziness. Let each day of your life has a purpose. Take a decision to not waste even a day. I like this technique used by the great Tony Robbins. This is a simple technique to set goals. It gives clarity on what you should do in short-term to accomplish goals in long term. Take a piece of paper and start writing. -What kind of person do you want to be or what do you want to achieve in 10 years? Or in 5 years? (if you don’t want to think that long). You can write your goals in every area of your life like career, relationships, travel or business. To accomplish each goal in 5 years, what do you need to accomplish by four years, three years, two years and one year from now? And what should you accomplish in six months from now? Break your big goal into mini goals like this, and reach back all the way till today. Now you know what to do today, instead of lazing around. I believe when you have goals that won’t let you sleep, it is easy to stop being lazy. Now that you have set goals, plan your ideal day. What activities/tasks would fill your day so that they align with the goals you set? Write down all the important activities that should be done in a day. Allocate time for each. And when the time comes, do it even if you feel like doing it or not. Yes, that’s another key to overcoming laziness. Show up every day, even if you want to or not. When you overcome the initial resistance, it is much easier to carry on. I don’t feel like writing for my blog always. But when the time comes, I open my laptop and start typing. After I overcome the initial resistance, I find it’s easier to keep writing. With boring tasks, I tell myself, “I don’t want to do this, but it will help me to accomplish so and so”. It works! You can apply this to almost everything you want to do. When I started this blog, I decided to focus on habits. 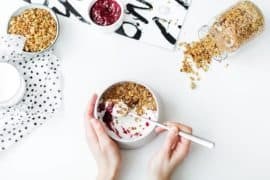 Because what I have come to know after years of devouring personal development content, is that you achieve success and overcome laziness and procrastination, by forming better habits. If I want to develop any personal development traits, I focus on making it a habit. Because when it’s a habit, you are more consistent. Consistency is what leads to success. Sometimes, the enormity of the tasks make you feel overwhelmed and you end up not starting at all. Break your big tasks into small actionable parts. Try not to think about the big task as such, but focus on the small mini goal. When I want to declutter my closet, I do it one drawer a day. It takes only 15-20 minutes a day and I don’t feel as lazy as I would feel if I had to declutter the entire closet in a day. Apply this to all your Himalayan tasks. Be mindful of who you hang out with, as they can influence your thinking and decisions. If the people whom you associate with the most are lazy people who have no focus in life, it can pass onto you even if you are a positive person. On the other hand, if you mingle with people who are proactive and successful, you get inspired too, to take charge of your life. Pessimistic people feel life is happening to them, not for them. They laze around, finding fault in every situation in life and blaming others. If you want to overcome laziness, don’t be around such people. It is said that “how you start your morning determines your day”. 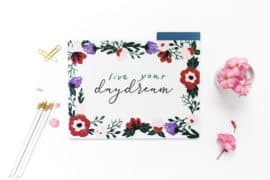 Think about the days you started by doing productive things, and you felt good the whole day and actively crossed off the items on your list. But what if you started the day by getting up late? Or you decided to act lazy when you should have finished your tasks. Don’t do that. Start from where you are. When your plans don’t go well, instead of feeling guilty and pessimistic, still go with your plan. I go with mini habits on such days. If I wanted to do a workout in the morning and didn’t do it, I do a mini version of it in the evening or at least do a warm up. If I wanted to write at least 500 words in the morning, and if I failed, I would still open my laptop and write how much ever I can. The idea is to stick to your plan (even in small ways) and do not give into laziness, no matter what. After a while, your subconscious mind gets that it is important for you, and sticking to your routine becomes easier. 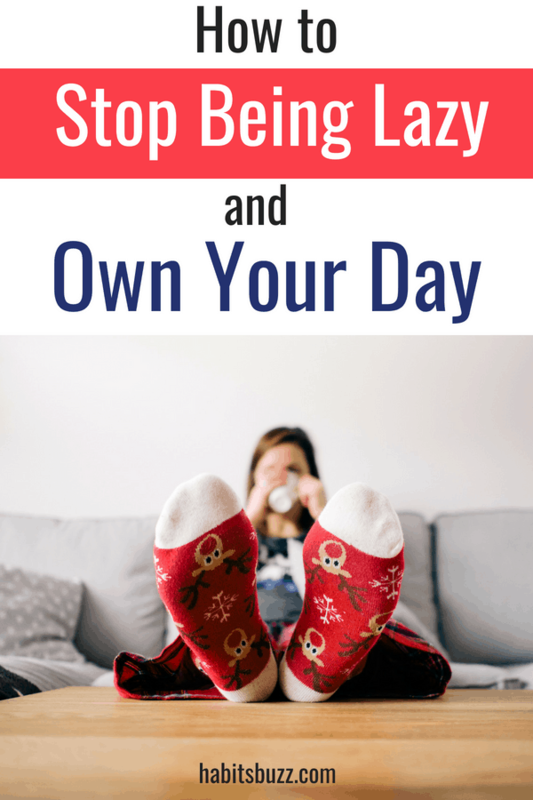 Overcoming laziness doesn’t have to be hard when you let yourself be lazy once in a while. Tell yourself, you can laze around when you have done your work. There is no better feeling like relaxing by doing nothing or indulging in any of your favorite self-care activities. 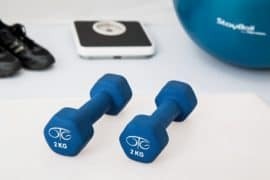 If distractions like TV, social media, Netflix or other media are the reasons you are lazy, you can reward yourself with these after doing some productive work. “I will reward myself with two episodes of Game of Thrones once I am done with ____”, is a good decision to make. Choose ‘selective laziness’ over a destructive one. Like the people who you hang out with influence you, good books, videos and reading stories of successful people can influence your mindset. Read self-help books, blogs or watch inspirational Youtube videos to stay motivated. Some of the books I recommend are Think and Grow Rich, The 7 Habits of Highly Effective People, Awaken The Giant Within, The Miracle Morning and The Magic of Thinking Big (there are more, maybe in a future article). How your life turns out is entirely your decision. Laziness doesn’t define you unless you make it so. Yes, it’s a decision which if continued for many days, becomes a habit. And I know you can choose better. What are the struggles you face when you try to stop being lazy? Please comment below. Thank you for these awesome tips. I’ve been told that I’m lazy and I knew I was lazy but I didn’t really know why. This topic helped me to be able to identify why I was so lazy and I am willing to work on that now that I know. I want to try out your schedule tips I believe its what I’ve always needed.